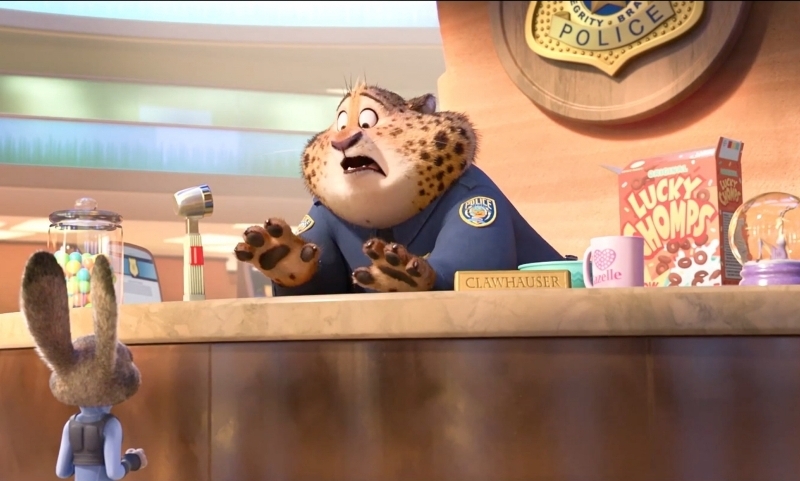 Zootopia is the latest animated film from Walt Disney Animation Studios and was co directed by Byron Howard, Rich Moore, and Jared Bush. 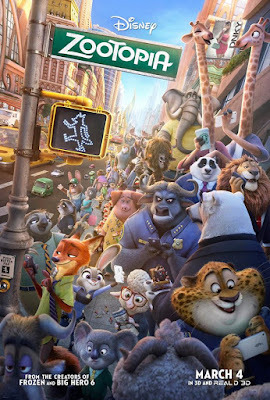 The film features the voice talents of Ginnifer Goodwin, Jason Bateman, Idris Elba, Jenny Slate, Nate Torrence, Bonnie Hunt, Don Lake, Tommy Chong, J.K. Simmons, Octavia Spencer, Alan Tudyk, and Shakira. 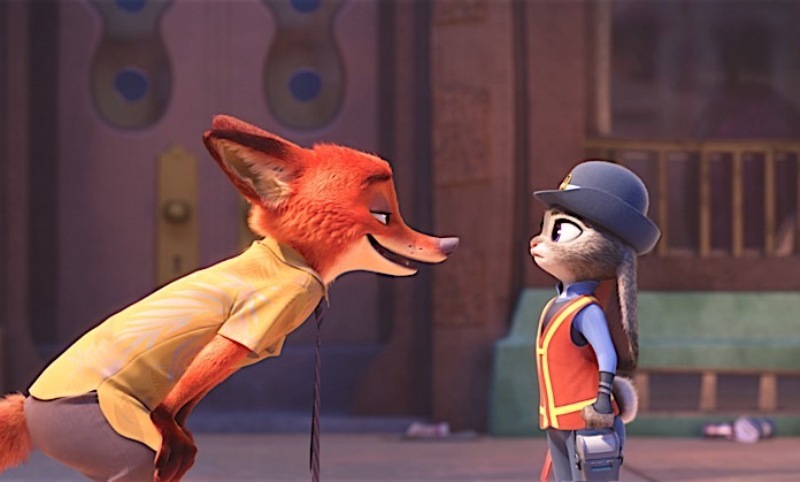 Judy Hopps (Goodwin) is a rabbit who has had a dream since childhood to become a police officer in the great metropolis of Zootopia and, even though everyone tells her it will never happen, she marches on towards her goal. 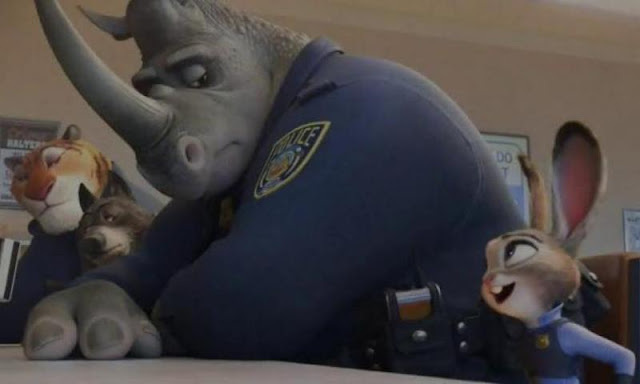 After completing her training and being sent on her first assignment, Judy is a little bummed to find out she is given traffic duty although she chooses to make the best of this opportunity as well. What she doesn't expect is to get caught up with a crafty fox named Nick (Bateman) in a case that, if left unsolved, could spell disaster for the entire animal population. Over the last few years, Walt Disney Animation has reclaimed its spot as the premier supplier of feature film cartoons and this latest entry further solidifies that standing. The creative team behind this film has done a fantastic job of creating a story that is appropriately entertaining for all audiences and contains a really strong message that never feels overly preachy. The mantra of "You can be anything you want" is hammered home just enough to make it the underlying theme of everything that takes place but doesn't become a hindrance to the story just being a whole lot of fun. 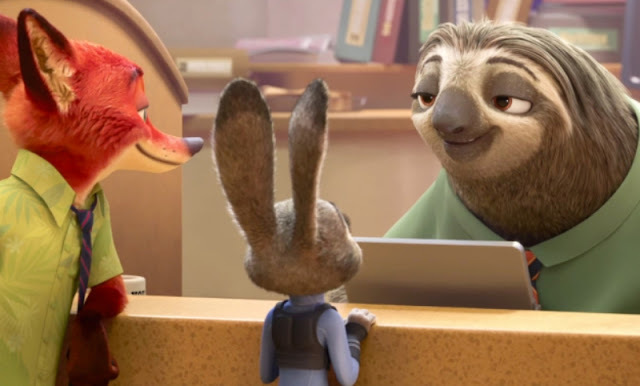 If there was an award for "Most Upbeat Movie", Zootopia would be a clear candidate and front runner to win the whole thing. It's one of those movies that just makes you feel good because you had a chance to watch it. One of my favorite moments in the film is when Judy is riding on a train into Zootopia and we get to see some amazing views, mostly from her perspective. The wonder and excitement she feels as this expansive world unfolds is the same way you feel while seeing all of the gorgeous 3D animation show up on the screen. I feel like this movie is a must watch in the theater and in 3D as every detail of every scene is absolutely beautiful. It's honestly pretty impressive what these studios are able to accomplish not just in creating beautiful images but in how these lush and stylized worlds are brought to life in such an amazingly detailed way. It's always hard for me to say anything about the voice acting in animated films although the reason for that in this case is how the animators do such a good job of taking the performances and building out really fun characters that have so much life and personality. Ginnifer Goodwin and Jason Bateman are great together and they make a really fun team that you can't help but root for. 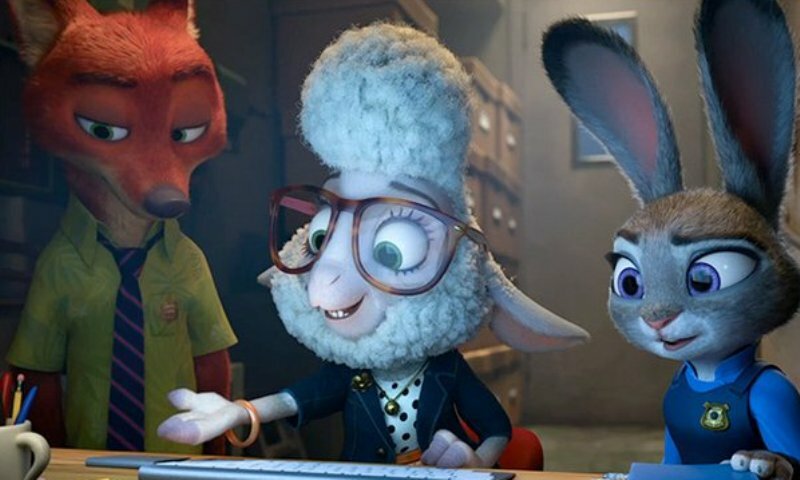 Goodwin plays Judy as the eternal optimist and every ounce of that comes through in her voice while Bateman really throws his own personality into Nick and comes out with a very unexpectedly likable fox that is just as sly as he is charming. Zootopia is a movie with a message that delivers on all fronts, takes no prisoners, and leaves you happily singing your way out of the theater. All I can say is go see this movie as soon as you can and just enjoy the heck out of it.